The Sydney sales office is responsible for the supply of Publication Papers to publishers and commercial printers throughout Australia. Publication papers available are newsprint, high white 'improved newsprint', LWC, Book and directory papers from the Albury, Boyer and Tasman mills. 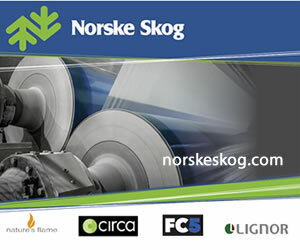 Norske Skog has the privilege of supplying the bulk of the total newspaper publishing paper requirements for both metropolitan and regional publishers throughout the country. Considerable innovation in logistics and service systems together with regular upgrading of paper machines has led to highly efficient and effective supply capabilities on a sustainable basis.